Christian Schmitt’s great passion is the extensive romantic organ repertoire, yet his artistic spectrum goes far beyond that. A winner of the ECHO Klassik award, he has given concerts on many of the historic organs of Europe. He has recorded the complete organ works of Handel and Brixi and will perform at the Bachwoche Ansbach and Arp-Schnitger-Festival in Groningen in 2015. At the same time, the German organist makes full use of the developments made to his instrument over the centuries and also devotes himself to contemporary repertoire. Since September 2014 he has served as ‘Principal Organist’ and curator of the organ series of the Bamberg Symphony Orchestra. 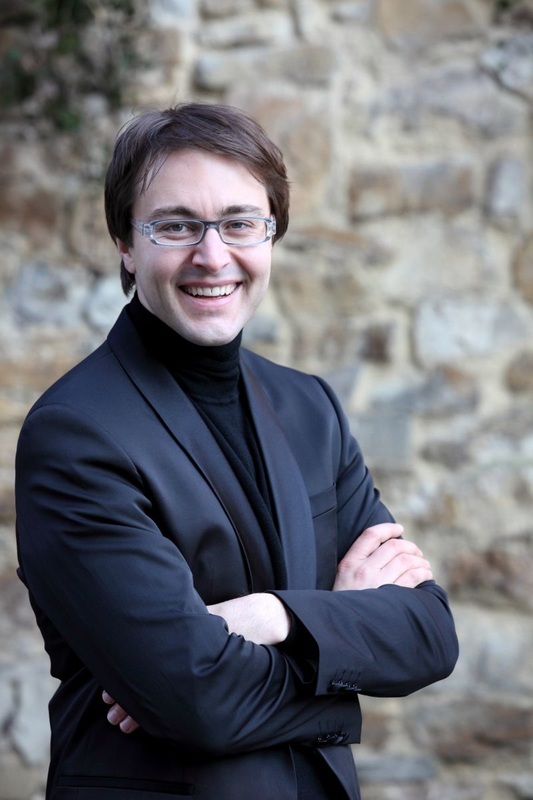 In this role he will appear as soloist with the Bamberg Symphony under Manfred Honeck in the 2015/16 season. In addition, he will make his debuts with the Bochumer Symphoniker and the NSO Taiwan. Further highlights of the new season include recitals at the Melbourne Town Hall, Shanghai Oriental Arts Center, Konzerthaus Dortmund and Cankarjev Dom Ljubljana, as well as Lieder recitals with baritone Michael Volle in Bamberg and at the Ludwigsburger Festspiele. As one of the most sought-after concert organists of his generation, Christian Schmitt has given concerts around the globe and across Europe, including at the Salzburg Festival, Lucerne Festival, Tonhalle Zurich, Berlin Philharmonie, Gewandhaus Leipzig, Vienna Konzerthaus, Philharmonie Cologne, Mariinsky Theatre Concert Hall St. Petersburg, and most recently at the Vienna Musikverein. As a soloist he has appeared with the Berliner Philharmoniker, Bamberg Symphony, leading radio orchestras (NDR, RSB, MDR, WDR, SR and RSO Vienna), the Camerata Salzburg and the Staatskapelle Weimar under conductors such as Sir Simon Rattle, Marin Alsop, Philippe Herreweghe, Cornelius Meister, Martin Haselböck and Giovanni Antonini. The organist and arranger who loves to experiment with programming is also well-known to concert audiences through his varied chamber music projects, which include Lieder recitals and performances with Magdalena Kožená, Michael Volle, Juliane Banse and Sibylla Rubens, Hille Perl, Gábor Tarkövi, Matthias Höfs, Reinhold Friedrich and Martin Grubinger. Christian Schmitt’s discography, which already comprises more than 30 CD recordings, was supplemented by the CD Prayer with Magdalena Kožená on Deutsche Grammophon (2014). His interpretation of Widor’s organ symphonies Op. 42,3 and 69 with the Bamberg Symphony on cpo Records was awarded an ECHO Klassik in 2013. For cpo, Christian Schmitt is also to record the complete works of Koechlin, Gubaidulina and Widor – whose organ symphonies op.13 have recently been released (recorded on the Cavaillé-Coll organ in the Church of Saint-Ouen). Christian Schmitt studied church music and concert performance at the University of Music Saarbrücken, and organ with James David Christie in Boston and Daniel Roth in Paris. He also studied musicology and catholic theology at Saarland University. Alongside his teaching functions, Christian Schmitt sits on a number of international music competition juries, served as organ consultant for the restauration of the organ of the Berlin Philharmonie (2010-12), and is a committed member of the “Rhapsody in School” project, which introduces children to classical music through school visits from world class musicians.